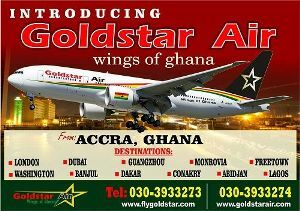 Ghanaians have witnessed a growing bond of friendship between former President Jerry John Rawlings and President Akufo-Addo, glimpses of which were noticed prior to the last elections. The former president and his wife, Nana Konadu Agyeman-Rawlings, were seen chatting heartily with President Akufo-Addo contrary to the cold reception accorded former President John Mahama at the funeral service. The former First Family and President Akufo-Addo were seen in convivial mood at the VVIP section of the Accra International Conference Centre after the funeral of the late JH Mensah. 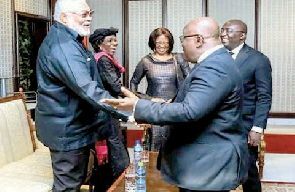 Such spectacles, as captured by a still camera, is not an image which would calm the nerves of some elements in the National Democratic Congress (NDC) given the never-ending queries of the former president about the self-inflicted challenges facing the opposition party of which he is founder. What could the duo be chatting about shortly after the curtains were drawn over the state funeral of top politician, JH Mensah, who passed away recently? Observers consider such bonds healthy for the country, especially as it allows for the sharing of important experiences among the country’s statesmen. For others, it’s a concern but what can they do about a decision taken by adults? They can only frown and sneer at the picture.